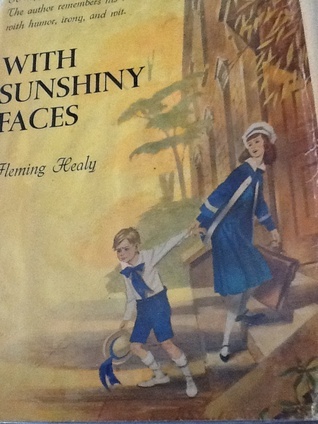 fleming healy's delightful and hilarious account of the four years he spent at a convent school 'for ladylike girls and refined small boys' in Cincinatti in the 1920s. " the ladylike girls were trained for twelve years and the boys for four years. At the end of that time, it was presumed, the boys had reached a minor plateau of possible refinement, and with it an inability to associate with increasingly ladylike girls." those hoping for stories of brutal and oppressive nuns will be disappointed, since the nuns seem on the whole to have been very kinds. healy's sisters were sometimes less kind, not being pleased at having a small brothe trailing after them. his sister Nora in particular was outraged when he proved slow at learning to read and she was obliged to help him: "Apart from the privation, this was also social ruin, for in our small society having a stupid brother was equivalent to having a near relative in the state penitentiary." however, Fleming survives the experience, and even the dancig classes he is obliged to attend. By the end of this very funny book, when Fleming's four years are yp, you will share his gentle regret at leaving the academy, as refined as he is going to get.